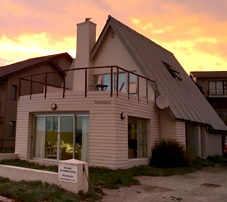 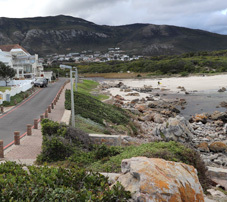 Woelwaters, the ideal family getaway, is situated on the beach front at Onrusrivier, a small town near Hermanus on the Southern Cape coast a mere hour's drive from Cape Town International Airport. 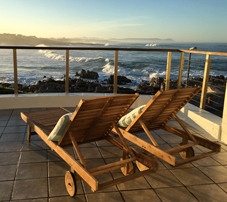 Here you can relax in comfortable beach house style, while watching southern right whales frolicking in Walker Bay from your private terrace. 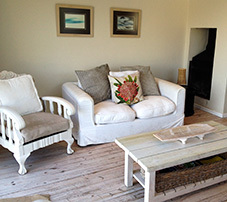 The house has an exquisite location on the Onrus main beach and overlooks the beautiful bay and mountains of the Hemel and Aarde Valley.